You are here: Home / Video and education / Video learning – ‘next best’ or just better? How do you determine the best way to deliver training in your organisation? When is video learning ‘next best’ or just better than other modes of delivery? Live learning is undoubtedly a great way to engage learners but what if you have a large number of staff inductions and or have employees that speak English as a second language? Live learning then becomes problematic and very expensive. A new customer of VidVersity leapt at the chance to deliver OH&S training through video based learning. Why? They had a large number of staff, a large proportion of staff spoke English as a second language AND a duty to ensure staff were trained to avoid injury in the workplace. 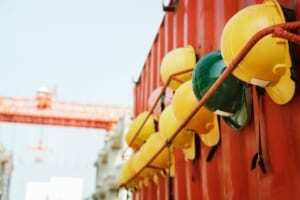 How do you make safety compliance training easy, effective and measurable? An OH&S program can be designed, captured with video and created into course content with questions and examples plus resources such as policy material. content updates are fast and easy. Tests and questions can be added (in the language of the user) to ensure a high level of compliance and understanding. And don’t forget, live delivery and video are a natural fit. Capture live content wherever possible and course content can then be created as a resource for those who attended, as a source of material for future course creation, or simply a way to then deliver content to those who could not attend. VidVersity enables raw video to be turned into interactive course content with chapters, questions, resources, links and notes in no time. Contact us for more information on how VidVersity can help your organisation to stay on top on Compliance and OH&S training.